Lemuria is a loveable band that puts its best efforts trying to be ironic and indie in their new album Companion. While this unironic irony might be a put-off to some, there is a charm that is inescapable, a yearning for replayability despite the fact that the last six tracks of thirteen in total are lo-fi demos. 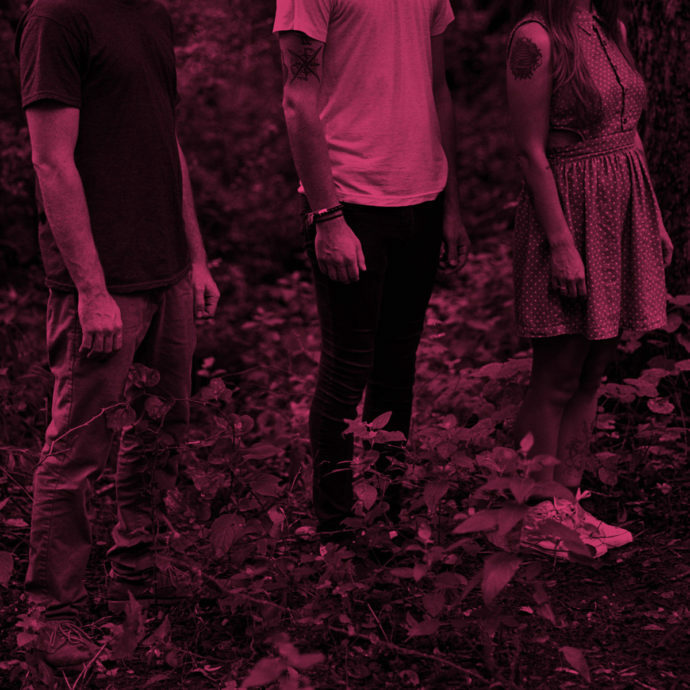 There is sincere depth to Lemuria championed in strong piano play, playful vocal banter, and understated guitar work. Lyrically deep in an unexpected way, Companion is just that: a companion to put into a mixtape that leaves the listener wanting more. The trio of Alex Kerns, Sheena Ozzella, and Max Gregor are a tight-knit group of musicians that are clearly honed into their craft. The clarity in their vocals is very pleasing to the ears and aesthetically provides a fun backdrop to any given situation. No track sounds like the others of the seven non-demo songs, yet Companion is a collective of commingled classics. From bubblegum pop tracks like “Wanted to Be Yours” straight into edgy indie rock gifts like “More Tunnel”, Lemuria shows their chops and experience in the most delightful way. Kerns’ monotone grounds Ozzella’s airy voice from obscurity while Gregor’s bass provides a backbone that cannot be tampered with, almost single handedly pointing the band forward. This trio has nowhere to go but up, constantly able to shift their sound while maintaining their steadfast groundwork. The uniqueness of each track makes it hard to pick a favorite, but “Recreational Hate” is certainly an earworm you wouldn’t mind being stuck in your head all day. With a swell of energy and more than a decade of experience, Lemuria is almost everything one could hope for in an indie band. Even if everything about this band screams ironic indie, they make it work. The only wish is for more, and hopefully Companion is just the right step stool to give them a boost into the mainstream.